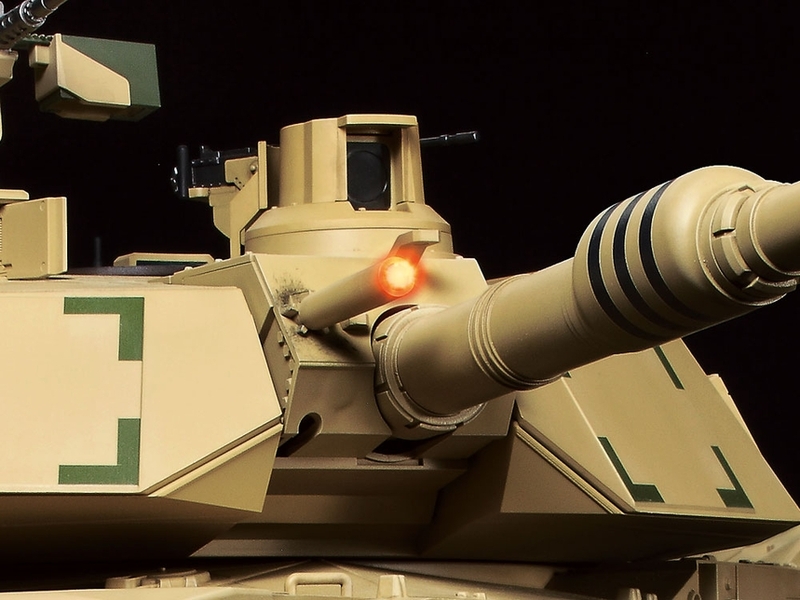 The Abrams Main Battle Tank has been around since the early 1980s. It has undergone constant upgrades to ensure that it stays at the cutting edge of military technology. 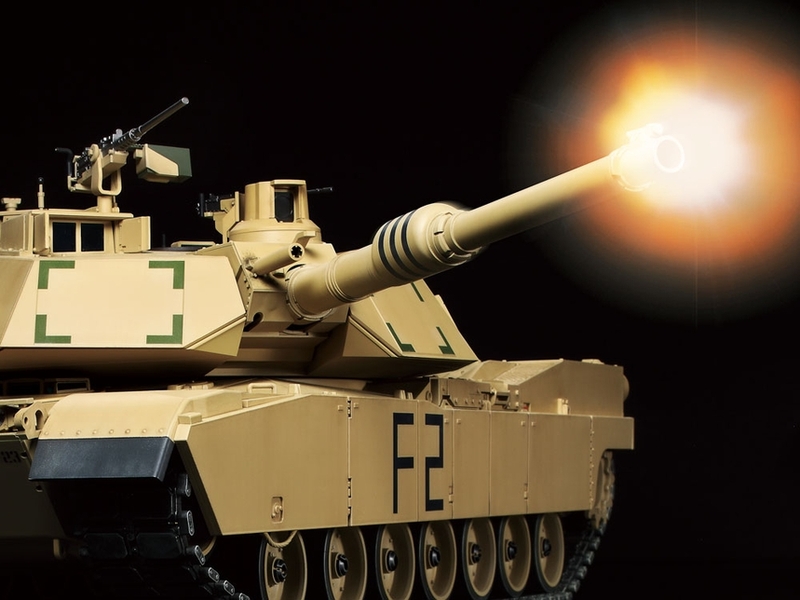 M1A2's were introduced in 1992. 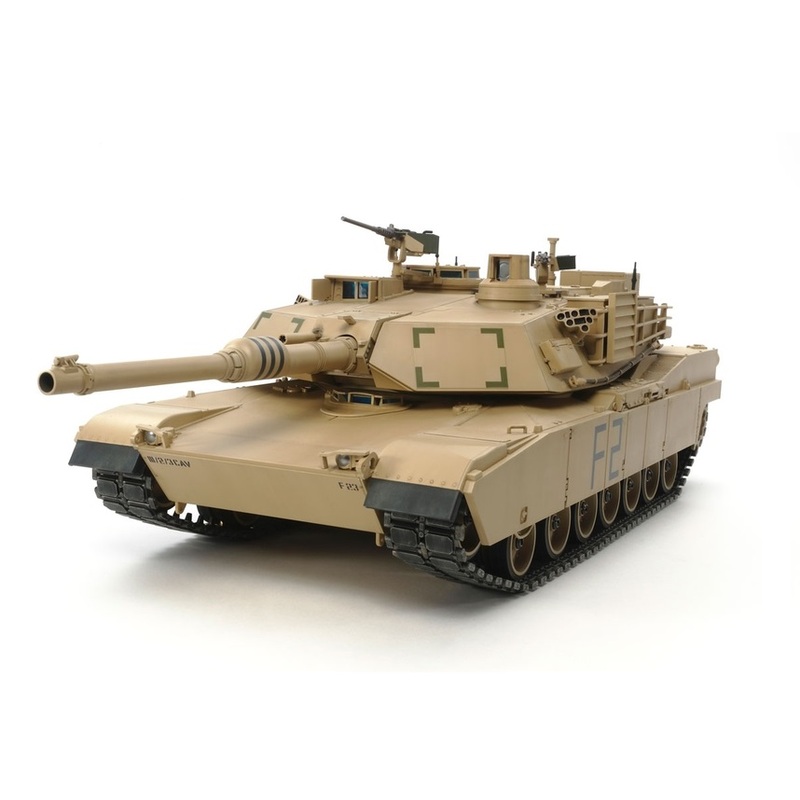 Developed to be loaded with front-line technology, the M1A2 brought the M1 into the digital age. 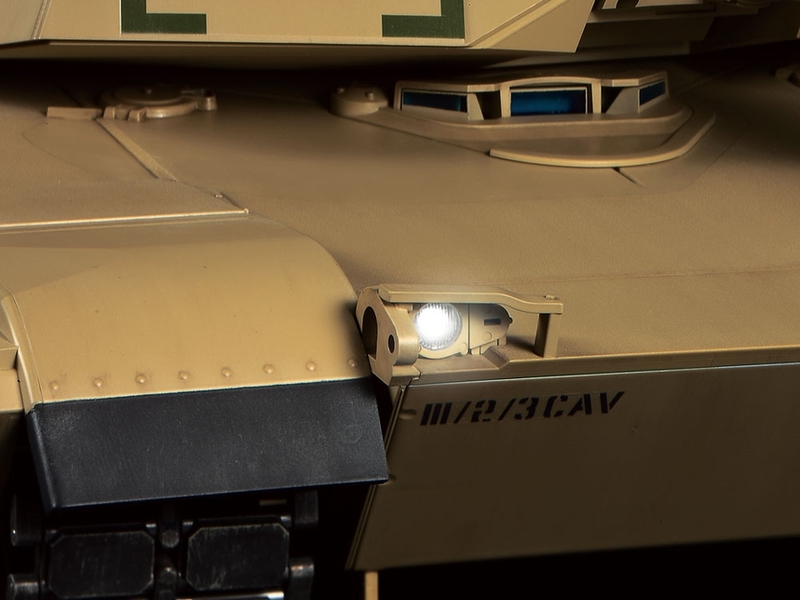 They feature depleted uranium armor, a modified commander’s cupola, an Intra-Vehicular Information System (IVIS), Commander's Independent Thermal Viewer (CITV) turret, a newly styled vision block, and much more! M1A2’s played a significant role in Operation Iraqi Freedom, being deployed by land forces as they moved toward Baghdad in 2003. 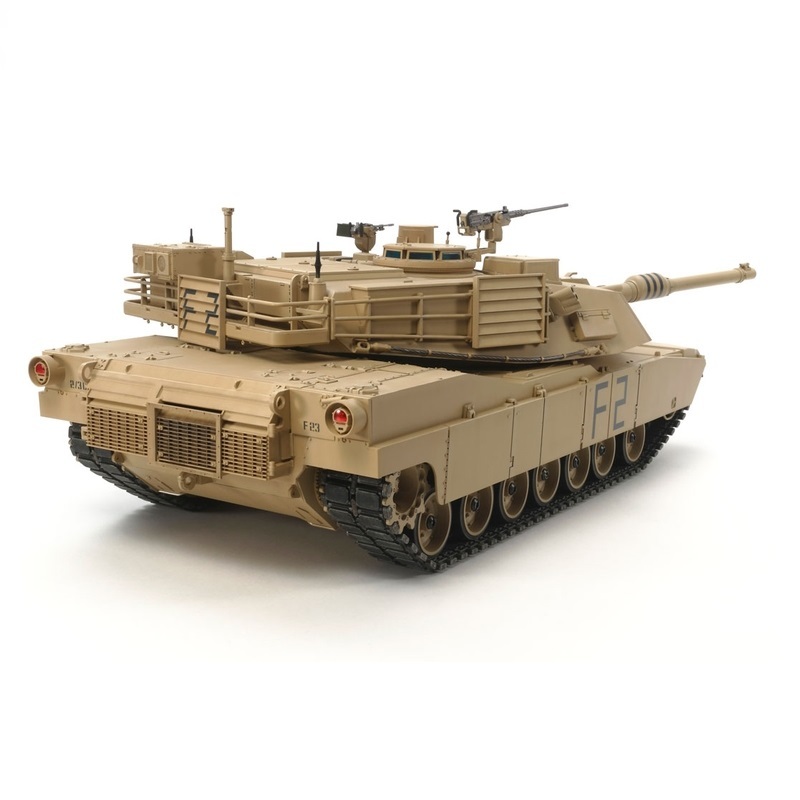 Tamiya's large-scale, Big Tank Series R/C model assembly kit recreates the formidable modern U.S. Main Battle Tank, the M1A2 Abrams. 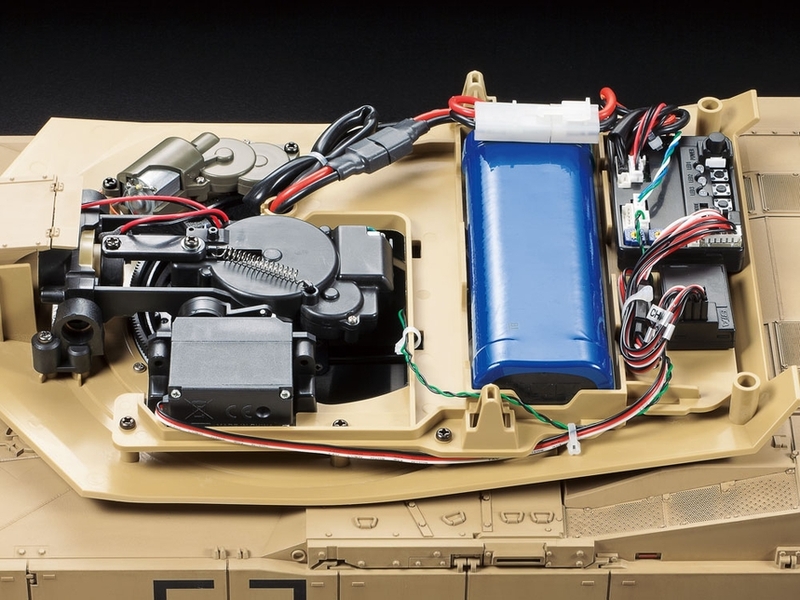 1/16 scale R/C model assembly kit. Length: 615mm, width: 231mm, height: 190mm. 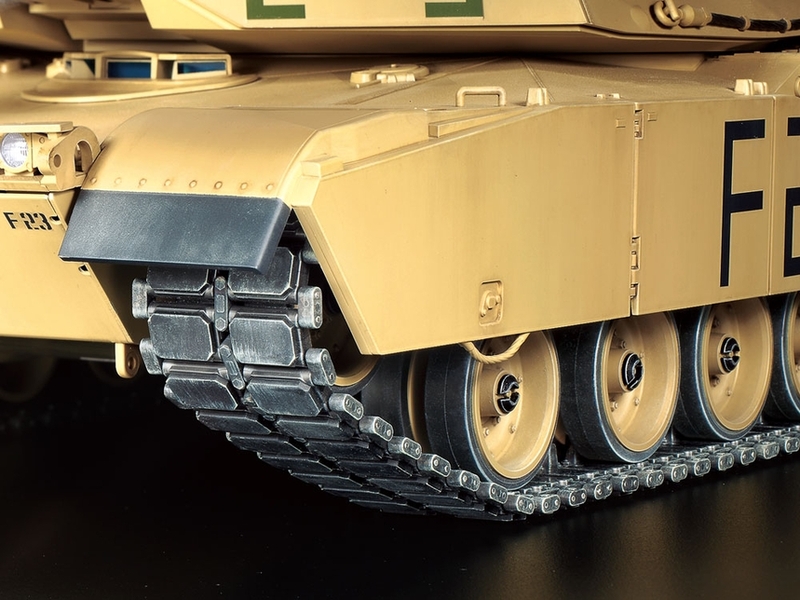 Expertly recreated angular Abrams form includes depictions of anti-slip surface textures. The chassis is powered by a gearbox with 540-size motors and features metal parts such as lower hull, suspension arms, drive sprockets and more, for excellent durability. Aluminum gun barrel included. Utilizes traverse and elevation/depression movement, actuated by a servo and Type 130 motor. 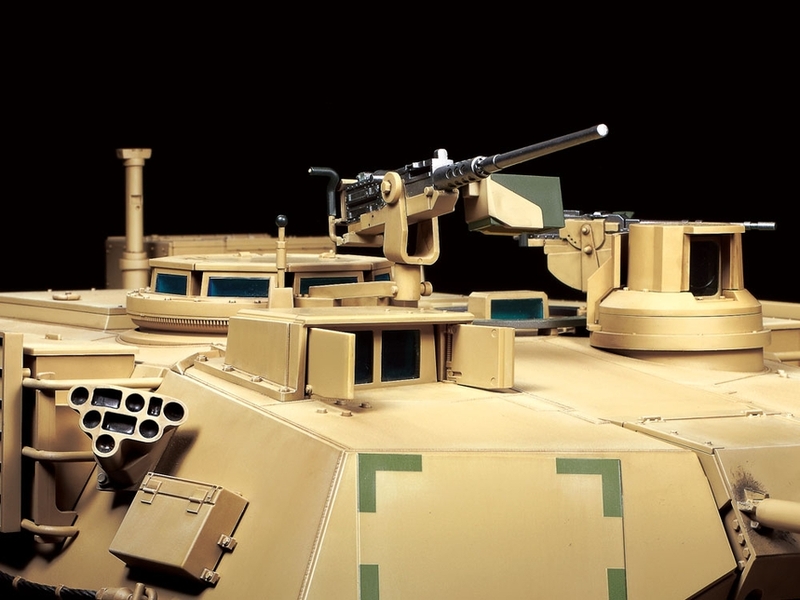 Multi-Function Unit is made up of turret and vehicle control units. It allows control of various movements via separately sold transmitter. 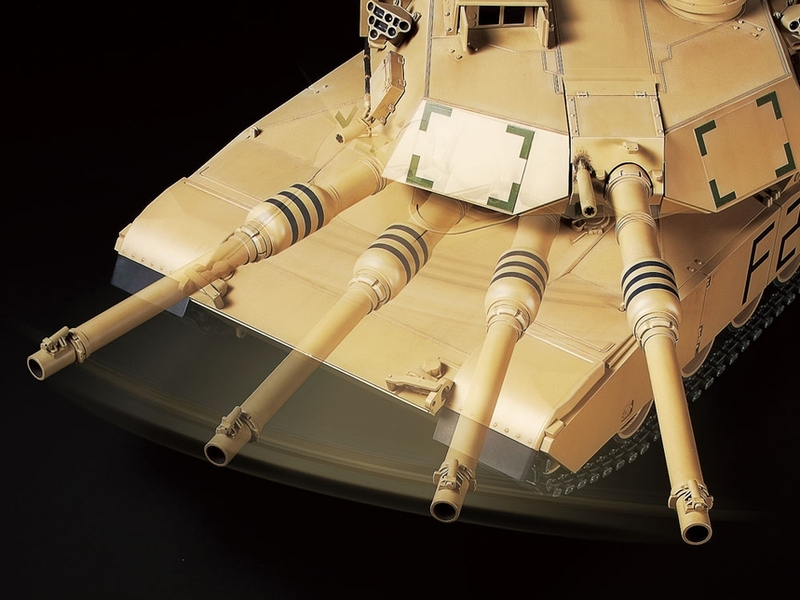 These functions include turret rotation and gun elevation. It also ensures that a range of realistic sound and light effects (headlights, taillights, barrel flash) are paired with model actions. 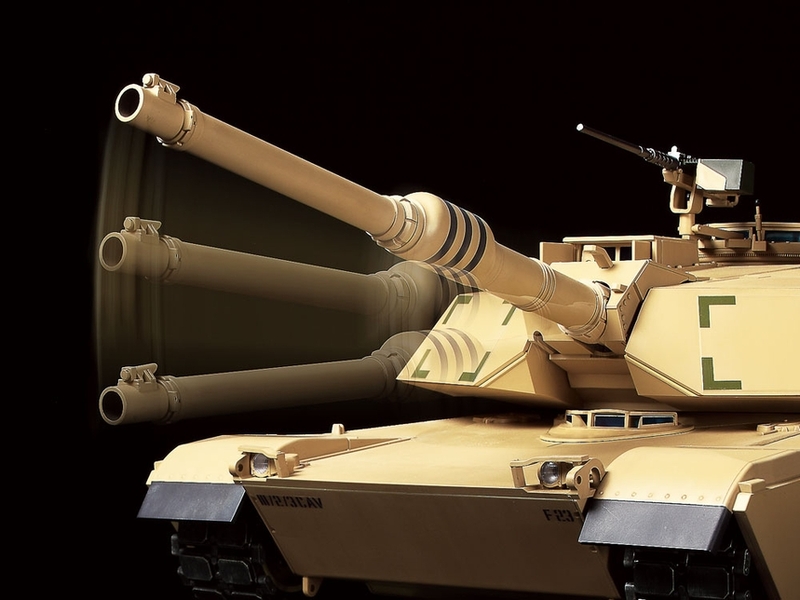 Gun barrel control system can train the main gun in a single direction, which it remains pointed in even as the tank moves or climbs, and the turret rotates. The included dual speaker offers highly realistic sounds. 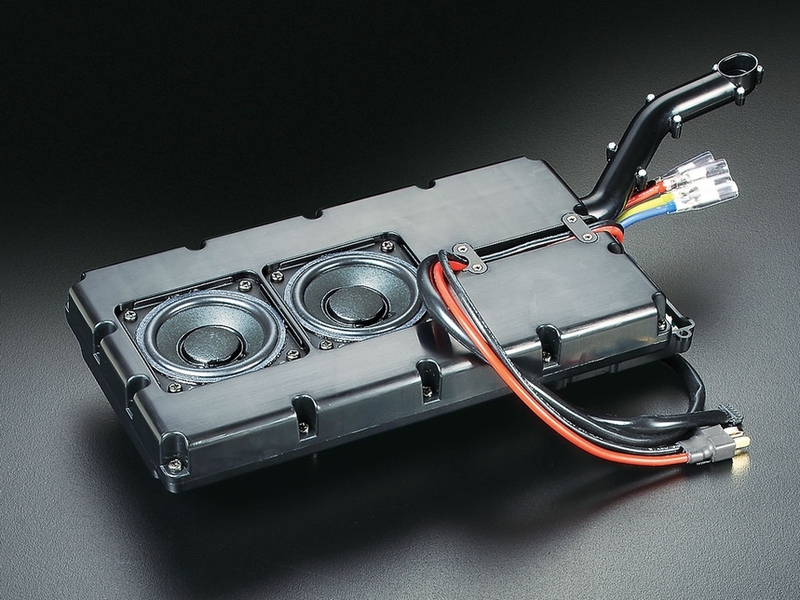 Durable resin pre-assembled tracks feature metal pins and connectors. Requires a 4-channel transmitter with self-neutral function, 7.2-volt Ni-Cd or Ni-MH battery pack & charger, and transmitter batteries.